Tweaking Elegant Themes involves creating a child theme and editing PHP and CSS files within a text editor. If you have never done this you may want to read our guide on creating a child theme. All tweaks are written with the assumption that you have a default installation of your theme. Any tweaks or changes you may have previously made to your theme could affect the outcome of the tweaks on this site. 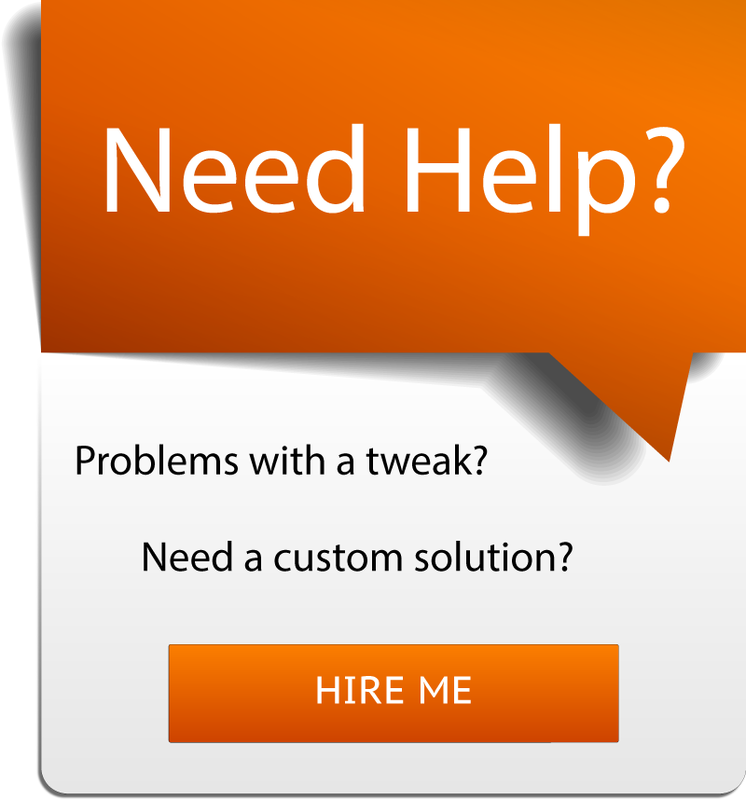 All tweaks should be tested before applying to a live site. Divi gives you the option to add social icons to the header and footer of your website through the Appearance->Customize->Theme Settings options panel. You can then add/remove individual icons through the epanel. But the only options are for Facebook, Twitter, Google+ and RSS. If you want to add LinkedIn or other icons, you’ll have to add the code yourself which is pretty easy. This line controls which icon will be displayed. Make sure you replace “linkedin” with “youtube” or whatever icon you want for the correct icon to be displayed. As you can see below, you can add as many icons as you like. If you’re not familiar with Font Awesome, it uses <i></i> tags with specific classes to display the icon related to that class. In the example above, “fa-houzz” will display the Houzz icon. You’ll need to add Font Awesome to your website (really easy) for these classes to work. Here is a quick tutorial on how to do that. The code above will NOT work without Font Awesome installed on your site. Thanks! This was really helpful! Hello, i am trying to add TripAdvisor icon to header and footer by using an image but it look not good because footer show the big icon and header show the small icon. I’m building a Divi site using Divi Children plugin and thought I followed your instructions exactly however it’s not working. The file structure is Divi-child / divi-children-engine / includes / divi-mods / social_icons.php. I didn’t create the includes folder. It was already there. Should I create a different Includes folder in divi-child and not divi-child-engine? Hi Jill. Were you able to get this working? I’m not familiar with this plugin but if you’re still having problems, I’ll check it out and see if I can get it to work for you. For divi children setup you need to add an includes folder to the child theme folder and create file inside of it called social_icons.php. This file will replace the one in the parent folder. Just copy to code from the parent social_icons.php file into the new one you created in the child folder. At this point you can customize it. I am trying to find a way to align the socials in the header section on the right side. Any direction would be much appreciated. Hello, great to see a tut like this. On the support forum they just do not give the info. The icons I am searching for are deezer, spotify and soundcloud, are these also available? Nice blog, very useful!! TY!! Can u help me w this? Check your the URL. You may have added a space at the end or didn’t close it properly with double quotes? Possibly saving the file in a different encoding? Should be UTF-8. I just tried it on 2.4 and still works. Thanks. I am having the same problem. No spaces in my enclosed href and I have saved the file in utf-8 from notepad. Any ideas how to fix this? Hi Lindy. Are you trying to edit this in the WordPress editor, Cpanel, or FTP? Whichever method you are using, try using one of the other two and see if that works. Hi Brad. I was FTPing the php file. I have tried in wordpress editor and no change. Tried in cpanel to and it changed the character to â€Ž which is still causing the link to file… Very strange! Actually the â€Ž character was showing up in the cpanel code editor (file manager) and then I was able to remove it! All good. Thanks for the tip. I guess an encoding issue.. I tried to follow your directions but must have gone wrong somewhere. I am trying to build a link in my footer to link to my company’s linkedin page. I have looked over the URL many times but keep getting an additional %u200E. Therefore, the link is directing to a page not in existence. Do you have any tips for what I may be doing wrong? I am having the same issue – has anyone figured out why this is happening? I have the same problem using RDP and notepad++. There should be no encoding issues. It just is adding junk to the end. Thank you, this was really useful! For whatever reason, adding this to a new child theme breaks the main navigation menu. Selecting the menu location in the customizer fixes it. I have copy and pasted the code above for all version of Divi and never had any issues. My guess is that the way I was displaying the code previously may have been replacing single quotes with back ticks. I’ve changed the way I display the code since then so this should solve that problem if in fact it was a problem. Please let me know if you continue to have problems. Thanks. 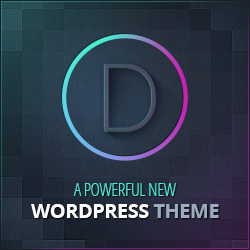 This works where Elegant Themes Divi support is unable to answer. Thanks! Thank you for this. Where can I see which icons are available in Divi?Others have mentioned Soundcloud, etc. Is it possible to add a custom icon to the social media list? I want to add an icon for Houzz an it is currently not available on the list. Hi Paul. I am very sorry for such a late response but for anyone else interested, I found that Font Awesome icons can easily be added to the social links in the header and footer. I’ve updated the tweak above to demonstrate how to do this. I’m wondering if we could add the according .et-social-tripadvisor in social-icons.php file. Hi Eva. Sorry for the late response. I’ve updated the tweak with instructions on this. Just replace fa-houzz with fa-tripadvisor. Thanks. How to add Foursquare icon? Thank you for the code and it seems to work only when I am logged in. When I log out those icons do not show. Any ideas why it would do that? Since the activation of the icons in the updated DIVI (2.6.4.4) is via the Theme Options, is it compatible? Should an additional option for the new icon appear under Facebook, twitter and RSS? Please help. I don’t want to mess up with code. Hi Toni. You also might be experiencing a caching issue. I’ve tested this with Divi 2.6.4.4 and it still works. Make sure you disable/clear your cache if you are using a caching plugin. I can see the icon but when clicking the URL has additional extra characters added to it rendering it broken. For example “https://www.instagram.com/voicesout%E2%80%8E” has the extra “%E2%80%8E” added at the end breaking the Instagram link. Any suggestions? Ive tried many different URL combinations http https www. no www. /at the end no /at the end…..
I’ve got the same problem. Did you find a solution? I’m working on a website using DIVI 2.5.9 and DiviKit, a child theme. At the beginning, I was able to show/hide the social icons in the footer with the theme customer / footer, but it doesn’t work anymore! When I try to show them again, nothing happens. Sorry for such a late response Thierry but make sure your child theme is active and make sure you are editing the correct version of the file. You need to edit the file within your child theme folder. Hi, Can you tell me how to set the links for Facebook and Twitter so that they open in a new tab? I have used your code to add LinkedIn and that opens in a new tab but FB and Twitter don’t. Hello, thank you for posting this. I have tried your code but for some reason the new icons are added in the form of bullet points under the standard existing icons I already had. How do I fix this? I came to your site, after trying the instructions for adding social icons on the Elegant Themes site – those didn’t work for me. I created a child theme according to your great instructions, activated it and confirmed activation using by adding the line for background colour to the style.css file in the child theme – worked great. I copy and pasted your code to add an Instagram icon to my footer into a copy of social_icons.php that I then uploaded into the child theme folder. I placed the code the first time between the code for the Facebook and twitter icons – but no icon appears. Then I placed it at the end, before the tag. But again no Instagram icon. I also made sure my text editor was saving the file as UTF-8. Any idea what might be wrong? Hi Paul. Did you make sure the social_icons.php file was placed inside a folder called “includes” in your child theme? You need to maintain that folder structure /wp-content/themes/Divi-child/includes/social_icons.php. You don’t need to add everything from the includes folder. Just create an empty folder in your child theme folder, name it “includes”, and then move your social_icons.php file into that empty folder. Hope this solves your problem! Hi, how can i achieve the “stand out from the crowd” effect in your sidebar? Hi Brad, thanks so much for your incredibly useful explanation. 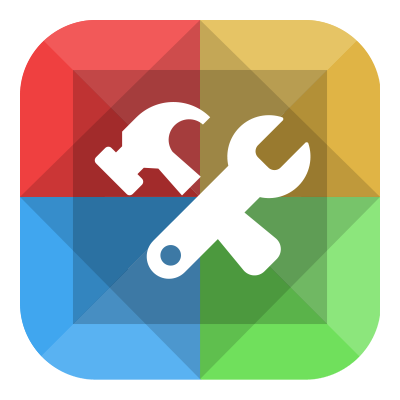 I would like to take out the google + and rss icon – I’ve successfully added the instagram and linkedin icons. However, if I try to take out any of the icons that came with the theme, it breaks my whole page!! Please let me know from where, to where I remove the code – or at least comment it out!! I’ve followed your instructions (not in a child theme though– in the regular theme documentation) and the Instagram and Pinterest icons don’t show up. Any advice? I have the social_icons.php file in a folder called includes modified with the code you suggested in my child theme folder. I have no idea what i’m doing wrong. I re-read all the instructions too. I would like to receive Weekly Tweaks! 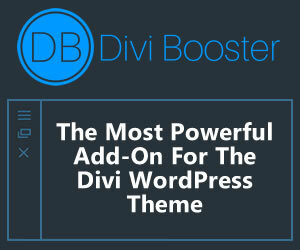 Create your own Divi Modules! Interested in making your website or a client's stand out from the crowd, but not sure exactly how to do that? Subscribe to Weekly Tweaks and I'll send you a list every week of my latest tweaks.